Catering is such a huge component of a couple's big day. This week I sat down with Andree Kosak of Trumps Catering in Athens for advice on what couples should know when selecting the caterer to make their dream wedding a reality. Special thanks to Courtney Goldman for her photos of Trumps food - as beautiful as it is delicious! In a few of your own words, describe what Trumps does: Trumps Catering is a full-service caterer that has been in business for over 30 years. We do everything from tailgate menus to five-course served meals. We concentrate on food and service and strive to constantly improve. How long has Trumps been catering in Athens? It will be 32 years in February 2018. How many weddings have you done at TGH? I seriously have lost count. Best advice for clients? Trust vendors with experience working at the Taylor-Grady House for your TGH wedding. 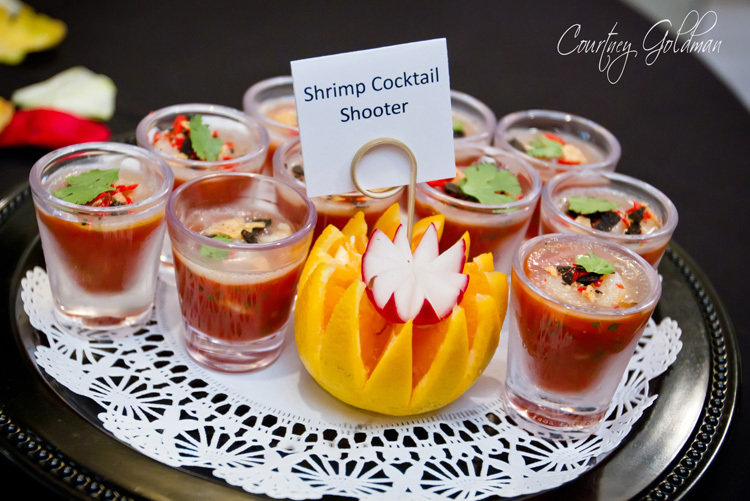 What should couples know before hiring a caterer? To make sure that the caterer can provide all the services needed in association with their selected menu. Can the caterer take care of setting up of tables and chairs; supply linens; 'real' dishware; serving staff that aren't temporary workers. This is where the experience comes into play. You just don't want family members doing laborious work the day of the wedding. You and your families should come as guests and leave as guests. What questions should couples be asking that they don't know to ask? They should ask about the number of rental items they'll need to have a successful event at their venue. Are tables and chairs included? What about a tent and/or lights? Where do you draw inspiration? Brides inspire me with their ideas and what they're dreaming of as the perfect reception. What's the most creative catering menu a couple has had? My favorite Taylor-Grady bride was many years ago and her father gave her a budget to use any way she wanted. She decided to have this incredible five-course meal - all out - and only invited closest of family and friends. After dinner, she had her groom boarded a plane and went to Paris for a honeymoon with the rest of daddy's budget. Somehow I have always been impressed with the creativity of that bride. Why do you love the TGH? I grew up in Athens. The Taylor-Grady House is such a piece of Athens history. It's a perfect wedding venue, especially when you work with southern-themed menus. Probably my personal favorite.